The presidential office says it was unaware that a pro-government blogger asked a ruling party lawmaker to help him land a job position. When asked if the top office was aware of the job request, a senior presidential official told reporters on Monday that he didn’t know. 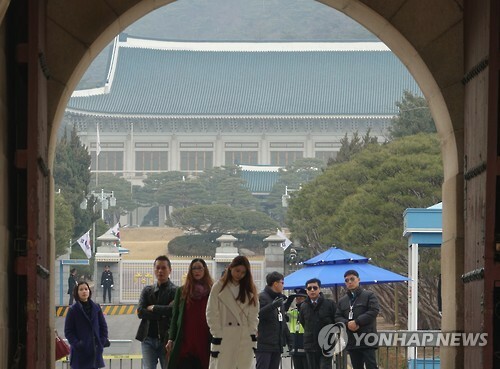 The official said he had not heard of media reports that the blogger, identified by the surname Kim, asked Democratic Party(DP) lawmaker Kim Kyoung-soo to help him get a position at the presidential office, which he rejected. The blogger, a DP member who has regularly paid membership fees to the party, reportedly also asked the lawmaker to recommend his acquaintance as consul-general in Osaka after the presidential election last year. Rep. Kim is also known to have rejected the request. Police are conducting investigations into the blogger and two other DP members on allegations that they used a computer program to rig the number of "likes" for online comments critical of the government on news stories. Rep. Kim said in a news conference on Saturday that the three people in question appear to have committed the alleged rigging in retaliation for his refusal to grant special favors.